Your access to and use of the Stag Arms LLC website is subject exclusively to these Terms and Conditions. You will not use the website for any purpose that is unlawful or prohibited by these Terms and Conditions. By using the website you are fully accepting the terms, conditions and disclaimers contained in this notice. If you do not accept these Terms and Conditions you must immediately stop using the website. The contents of the Stag Arms LLC website does not constitute advice and should not be relied upon in making, or refraining from making, any decision. The Stag Arms LLC website may include links to third party websites that are controlled and maintained by others. Any link to other websites is not an endorsement of such websites and you acknowledge and agree that Stag Arms LLC is not responsible for the content or availability of any such sites. 6.1 All copyright, trademarks, and all other intellectual property rights in the website and its content (including without limitation the website design, text, graphics and all software and source codes connected with the website) are owned by or licensed to Stag Arms LLC or otherwise used by Stag Arms LLC as permitted by law. 7.2 To the extent permitted by law, Stag Arms LLC will not be liable for any indirect or consequential loss or damage whatsoever (including without limitation loss of business, opportunity, data, profits) arising out of or in connection with the use of the website. 7.3 Stag Arms LLC makes no warranty that the functionality of the website will be uninterrupted or error free, that defects will be corrected or that the website or the server that makes it available are free of viruses or anything else which may be harmful or destructive. 7.4 Nothing in these Terms and Conditions shall be construed so as to exclude or limit the liability of Stag Arms LLC for death or personal injury as a result of the negligence of Stag Arms LLC or that of its employees or agents. All custom work completed by Stag Arms LLC is considered a final sale. All unused unopened products may be returned within 15 days. A restocking fee of 15% will be assessed on all purchases. All returns & warranty repairs must be approved in advance by contacting our service department through the following form: https://www.stagarms.com/contact-us/ . Any returns received without an RMA (Return Materials Authorization) number from the service department will be returned to the sender unopened. Stag Arms LLC does their best to accurately describe and represent all products, however, errors may occur. Prices are subject to change at any time. Stag Arms LLC reserves the right to edit, change, or clarify descriptions at any time to correct errors in product listings. Please be aware that items that are incorrectly listed or priced and subsequently ordered may be cancelled at our discretion. In the event of a conflict in the description of an item, we reserve the right to remove the conflicting information once notified. We make no warranty on the accuracy of a product listing when a conflict in the product information is present. Photos shown are not of the actual item being shipped, and may show options not included in the item being sold. Photos are provided for general identification purposes only and may show optional or additional pieces for illustration purposes. Stag Arms LLC ships direct to valid FFL dealers only. PRIOR TO ORDERING: Please contact your local FFL receiving the firearm to verify their transfer fee and to ensure they will receive your transfer. 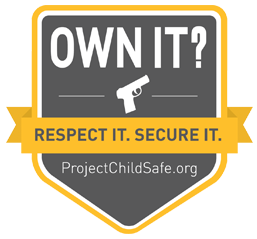 If you order a stripped lower receiver or lower receiver with the parts kit installed, YOU MUST be a legal resident of the state in which you are ordering and be at least 21 years of age to complete the transfer through your FFL*. Contact your local FFL dealer with any questions regarding the sale or transfer of firearms. The customer is responsible for knowing his/her state laws regarding firearm transfers. The customer assumes all responsibility and cost for returned firearms due to FFL refusal or failure to receive. Stag Arms LLC abides by all state, federal, and local laws regarding magazines. If an illegal magazine is ordered to your state, your order will be processed with the magazines removed. Stag Arms LLC applies the laws for civilian magazine purchases to all non-governmental magazine purchases within a state. Stag Arms LLC abides by all state, federal, and local laws regarding firearms and parts. It is the responsibility of the customer to abide by all state and local laws in your given area when purchasing products from Stag Arms LLC. Any Rifle with a barrel shorter than 16 inches in length is subject to all State and NFA restrictions. Failure to observe safe firearm handling practices may result in serious bodily injury or death. Stag Arms shall not be responsible for injury, death, or property damage resulting from faulty installation, misuse, illegal use, or modification of this product. Stag Arms LLC lead times are estimates and we make every attempt to ship within the time specified. If a lead time is not specified, the product is expected to ship within 30 days. 19.1 All orders will be shipped via UPS or USPS for delivery. If your package arrives damaged, you must notify us immediately to report any damages. There are no refunds if the package is lost. A replacement will be sent out once UPS declares a package as lost which can take up to 8 business days. All UPS orders ship with signature required for delivery. 19.2 Items which are expected to take longer than 30 days to ship will be listed as such on their product page along with an estimated lead time. If orders take longer than originally quoted, your credit card will be refunded unless we have authorization to extend the charge. 19.3 Delivery intercept to an address different from that on the original order is only available for UPS packages and costs $13.00 per package. The fee will be waived for "will call" pick up at the local UPS hub or if the change of address is required due to our error. 19.4 Stag Arms LLC does not drop ship. You agree to indemnify and hold Stag Arms LLC and its employees and agents harmless from and against all liabilities, legal fees, damages, losses, costs and other expenses in relation to any claims or actions brought against Stag Arms LLC arising out of any breach by you of these Terms and Conditions or other liabilities arising out of your use of this website.